What is a nut brown ale and is it good to homebrew with? Coming from the 'brown ale' family of beers, the nut brown ale is a great beer for the keen home brewer to have a crack at making. You can answer that question soon but first a short history of the nut brown ale. The Brown Ale style originally gained popularity in the down and dirty pubs of England, where beer guzzlers expressed a need for beer that was both flavorful and complex, but at the same time mild enough to be a session beer. Words like Newcastle ale, English Style ale, 'All English' are bandied about when it comes to the brown ale. It's drank in many a London pub. The style has a long history and if you see a reference to 'Northern ale', this is what historically is meant by a nut brown ale. In reality, the style of nut brown ale may just have been a unique marketing movement promoted by the burgeoning beer companies in the first half of the 20th century. At its most basic, a nut brown ale is a way to describe a variant of the standard brown ale. Does a nut brown ale actually have nuts added to it? A key thing to point out is that a nut brown ale recipe doesn't contain nuts! The reference to nuts is for the beer's colour, not necessarily it's taste. You could also describe the colour of the ale as a deep copper. There's nothing wrong with using nutty as a taste description if that's the case! So what are the taste characteristics of the nut brown ale? The taste of nut brown ale is obviously subjective. Some say it would have an 'obvious earthy' character. It may have faint traces of some flavor like molasses or possibly something like maple stripped of sugar. You could almost say the ale has a mild bread like taste with that classic ale bite in the back of the mouth. If brewed well, the taste offers a malty sweetness, with the slight presence of caramel. If properly balanced with a medium to low level of hops (as it's traditional for ales for be low in hops), the nut brown ale is a deserved beer to drink on a hot day. Is a nut brown ale a good for for homebrewing? What do I need to make a good one? So if the above romantic descriptions of the beer, tempt you, we strongly suggest you try your hand at brewing one. I did, here's my review of the kit I used. What hops can be used in a nut brown ale? Traditional English ales are lightly hopped as the preference is for a low bitterness levels. Hence classic English hops choices such as Goldings , Fuggles , and sometimes Tettnanger could be made. American brown ales have evolved differently and feature a higher level of bitterness and thus Cascade and Williamette hops are common. So if you are going for the more traditional English nut brown ale style, you may want to favour the English hops. 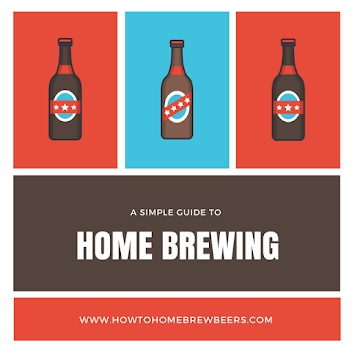 They key thing to beer in mind is that your brew recipe should be light on hops so to not over bitter your beer. So don't throw in the whole hops packet. There are many ways to make your own version of a nut brown ale. Here's two brief versions that you could go for if you were putting together your own recipe. If you are going to brew a nut brown ale, we suggest you get a beer kit by way of Northern Brewer , a popular American supplier of beer product and equipment. They've a pretty good reputation!